Since it’s International Women’s Day today, let’s talk about a woman’s other best friend: closet. Not just any closet, of course! We are talking about the closet that merges style with function perfectly. Case in point: Mia’s closet in the Princess Diaries 2. It’s vast, well-equipped, and has automatic drawers! That’s probably far-fetched, but you gotta admit, that closet is a perfect fit! Combining style and function are not reserved for the humongous walk-in closets. 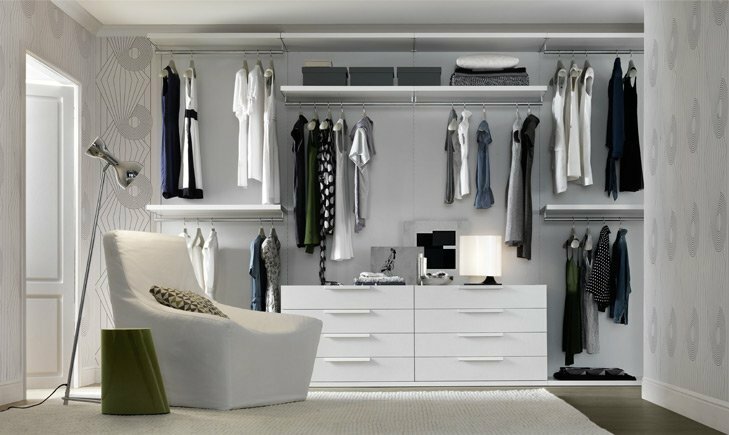 You can incorporate these factors regardless of your closet size. You just need a couple of key elements that will give you the aforementioned outcome. We pulled together a few ideas to get you started! Enjoy! A chair is more than just an accessory inside the closet; although, it does give the room a huge aesthetic lift especially if the said furniture piece is a stylish one. It gives you convenience when you put on your stockings or socks. It may also serve as a temporary spot to place your things on before you store them away properly. Choose a chair that will not be of hindrance to your movement. If your closet does not have that much extra square footage, get a small storage ottoman to maximize the sitting area’s function. An easy way to embed a luxurious and stylish appeal to your closet is by adding a zebra skin rug just like Lauren Conrad’s above. A mirror is more versatile than you think! Its first and most important function is to show you your overall appearance. Second best? It can make your room look bigger! You can do a full panel of mirrors for your closet doors. It will trick the eye by creating an illusion of depth. It can also make a room appear brighter by reflecting natural light especially if it’s angled perfectly. 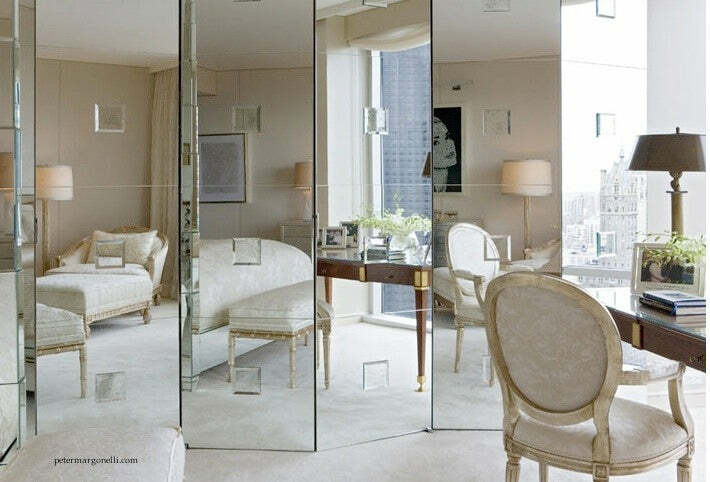 Another thing that’s great about mirrors is that it can make the bedroom look high-end. Lighting Your closet needs an ample glow to make your life easier. You need to be able to see what’s inside your closet without much effort. A good lighting can give you just that, and it can make your closet look posh, too! For walk-in closets, track lighting is an easy option along with a lighting system that’s hidden behind the wall. LED tapes are a great pick (and inexpensive, too!) for closets that have odd shapes. If your closet has a high ceiling, you may want to opt for an elegant chandelier. Closet System Do you prefer a custom-made closet system or the off-the-shelf version? There are tons to choose from that caters to all budgets nowadays. You can do a DIYer, too. First, assess how you are going to use your closet. 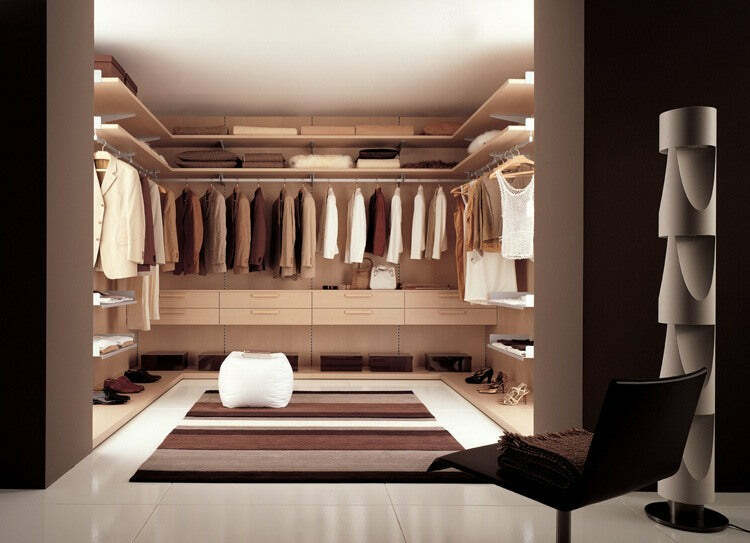 You have to determine your needs then incorporate that in the design to make the closet serve you best. Do you need a revolving rack for your shirts or do you prefer a stationary version. Do you need a space to store your bags inside your closet? How about multiple poles in various levels or different sizes of containers? Visual Aspect Choosing what to wear is a struggle enough for most women. Don’t let your closet’s design add to that dilemma. Make everything easily accessible at first glance. Many go for the boutique type of closet these days. You can easily do that by having an open type of shelving and adding accessories such as drawer insert organizers, transparent bins, and drawers with glass fronts. Keeping them organized and tidy is, of course, the real struggle. It’s hard, but very much doable!